Product prices and availability are accurate as of 2019-04-21 03:11:43 UTC and are subject to change. Any price and availability information displayed on http://www.amazon.com/ at the time of purchase will apply to the purchase of this product. 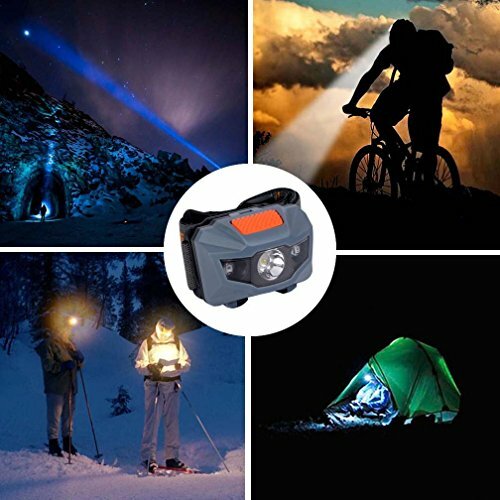 The headlamp is made of high-power LED light source and powered by three pieces of AAA battery. 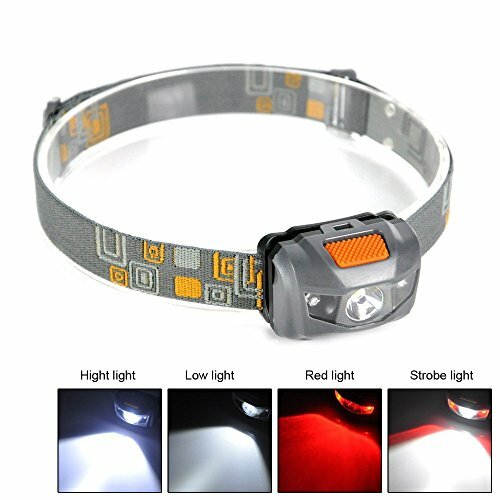 It is an essential lighting tool for running, camping, fishing, hunting, hiking or walking dogs etc.
? Materials: Made of ABS materials and textile headband.
? Light Source: 3 x High-power LED (One White and Two Red).
? Adjustable Headband: Adjust the size of headband to wear comfortably on your head.
? Button Switch: Upside button switch with four different modes.
? Four Modes: High Beam, Low Beam, Red Beam and Strobe Light.
? Battery Powered: Three pieces of AAA size battery ( Not Included).
? Run Time: 3-6 Hours (Based on different modes).
? Luminous Flux: Reasonable lumen output and up to 200-300lm at different modes. Upside Button Switch: Better than tail button switch and more convenient to operate. Light Weight Design: Wearing comfortably for running, camping, walking dogs, hunting, fishing etc. 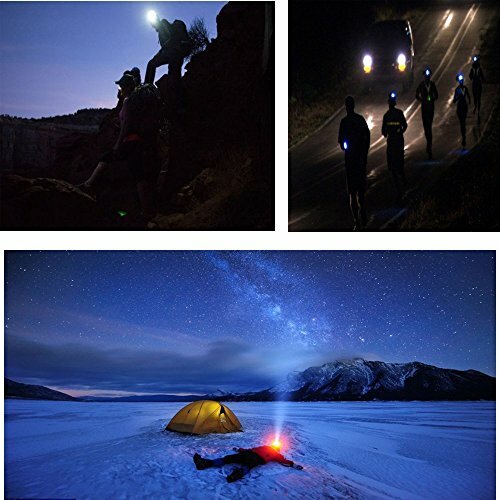 1 x High-power LED headlamp. High-power LED Headlamp: Made of 3 x high-power LED light source (One white and two red), reasonable lumen output and long lifespan. Smart 4-mode Switch: Press button switch to High Beam, Low Beam, Red Beam and Strobe Light. Powered by 3 x AAA Batteries: Normal size batteries available widely in the market and replace batteries easily. Design Light Weight: Only 0.1lbs totally and wearing comfortably on your head by adjusting the size of headband. 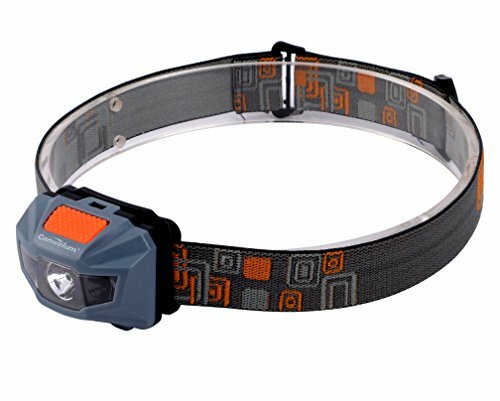 Applications to Make Your Hands Free: The headlamp is widely utilized for camping, fishing, hunting, riding, walking dogs etc.